An empire will burn. Below, watch the fiery Netflix announcement that the ten-episode second season of its Marco Polo TV series premieres globally, July 1, 2016. Per Netflix, the series will be available in 4K. The Marco Polo launch date was revealed during the streaming outlet’s press conference held in Paris, today. Marco Polo stars Lorenzo Richelmy as Marco Polo and Benedict Wong as Kublai Khan. Also starring are Michelle Yeoh, Joan Chen, Zhu Zhu, Tom Wu, Olivia Cheng, Claudia Kim, Rick Yune, Remy Hii, Mahesh Jadu, and Uli Latukefu. The series is written by creator John Fusco, who executive produces with Dan Minahan. Patrick Macmanus, Harvey Weinstein, Bob Weinstein, and Elizabeth Sarnoff are also executive producing season two. Watch the Marco Polo season two drop date announcement. An empire will burn. Netflix is pleased to announce that the second season of its epic action adventure series Marco Polo will launch globally on July 1, 2016. The series will be available in 4K. The 10 episode series, created by John Fusco, stars Lorenzo Richelmy (Marco Polo), Michelle Yeoh (the Handmaiden), Benedict Wong (Kublai Khan), Joan Chen (Empress Chabi), Zhu Zhu (Kokachin), Tom Wu (Hundred Eyes), Olivia Cheng (Mei Lin), Claudia Kim (Khutulun), Rick Yune (Kaidu), Remy Hii (Prince Jingim), Mahesh Jadu (Ahmad) and Uli Latukefu (Byamba) among others. Series description: In a world replete with greed, betrayal, sexual intrigue and rivalry, Marco Polo, is based on the famed explorer’s adventures in Kublai Khan’s court in 13th Century China. Marco Polo is produced by The Weinstein Company for Netflix. The complete first season of Marco Polo Season 1 is available for members to watch instantly on Netflix. 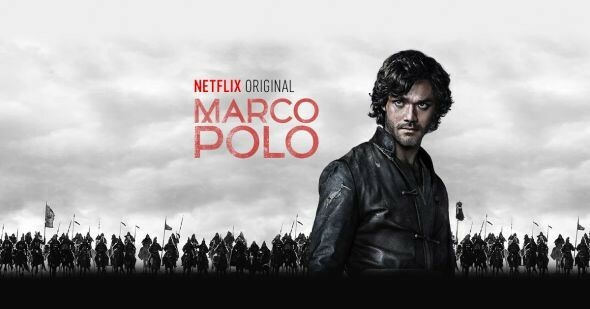 For more information on Marco Polo, please visit Netflix.com/marcopolo and the official social pages. Twitter: @MarcoPoloMP (https://twitter.com/marcopolomp). #MarcoPolo Facebook: www.facebook.com/MarcoPoloMP. Instagram: www.instagram.com/marcopolomp/. What do you think? Are you a fan of the Marco Polo TV show. Do you plan to watch the second season when it arrives on Netflix? Tell us. Marco Polo is probably the best thing I’ve ever seen on television, and one of the best even when compared to cinema. Intelligent, driven by its amazing characters, brilliantly filmed with nuance and sensitivity, and most amazing of all — perfectly cast, with an international assemblage of wonderful actors. I can’t speak about this show without gushing like a middle schooler, but how rare is it to find something that can make me feel like one! Rich delight in every episode, every scene, and each performance. I’m eager for the unconscionably long wait to be over! I agree it is one of my favorite shows. I’m binge watching it none. I’m hate that Netflix is letting it go.